Back in 2009 when I first started P90X, I was using a doorway pull-up bar, not that much different than the P90X Chin-Up Bar. That worked well enough while I was working out in the various rooms in my house. 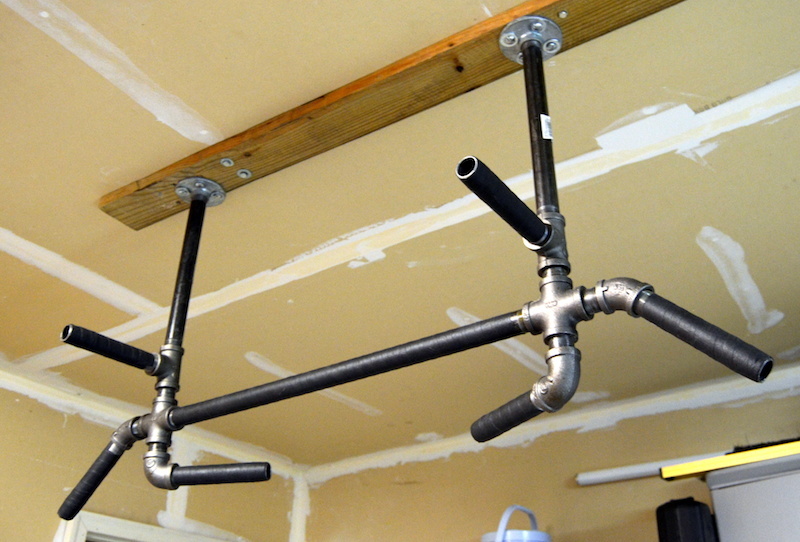 Once I started working out in my garage about a year or so later, I wanted to put a ceiling mounted pull-up bar out there and ditch the door-way option.